Soon after the praise for the blistering portrayal of his nine diverse characters, the play opened a powder keg of emotions just as America’s gay pride and identity movement opened another powder keg after the Stonewall Inn arrests. The onset of the fateful AIDS crisis came next. Gays fought for research funding and a better portrayal of themselves. 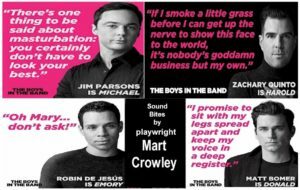 Crowley’s play was considered divisive, too-stereotypical. He never imagined he and his play would be targeted and so reviled. The fame was not short-lived; however, the cheers were. 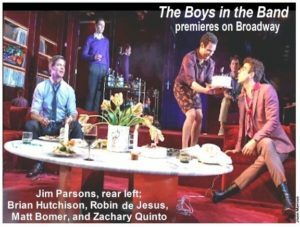 Now 50 years later, after the play has been revived three times, produced regionally and worldwide, andfilmed with its original cast, the playwright and The Boys in the Band are making their Broadway debut amid great fanfare. It is subdued compared to back when it became the first homosexual-themed play to reach mainstream audiences. “I’m back!” laughs Crowley. “The band is still playing. Who in the world would ever believe this would happen? 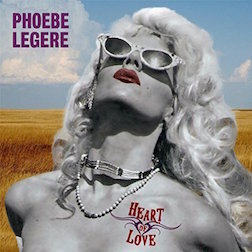 I’m extremely blessed for all the good fortune at this time in my life.” This was the day after he stood across the street from the Booth in pouring rain as the giant sign high atop the theatre blazed the play’s title in lights over the Theatre District and the theatre marquee with the play’s title and his name were lit. Though you’d never guess, unless you do the numbers, Crowley turns 83 in August. Success and life may have had their ups and downs, but now transplanted back to New York after a storied life and career in Hollywood, he feels a spry 38. No less impressive than the play’s revival, with producers that include David Stone, co-produced by Scott Rudin and Ryan Murphy, is the cast of eight stage, TV, and film stars – and one newcomer, headlined by Golden Globe and four-time Emmy winner Jim Parsons, Zachary Quinto, Tony-nominee Andrew Rannells, two-time Tony nominee Robin de Jesús, and Golden Globe winner and Emmy nominee Matt Bomer. Two-time Tony-winner Joe Mantello directs. He says there is “a little of me in some of the characters, and a lot of many people I have known, but the black comedy is not a confession, nor is it autobiographical” – although there’s some dialogue that draws personal parallels. 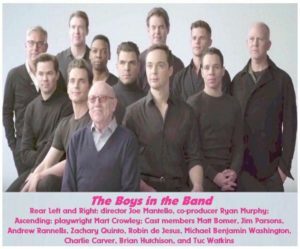 The Boys in the Band is set in an apartment in New York Upper East Side, as Michael (Parsons), a once successful film writer now between jobs, holds a birthday party for his bitingly-frank and sarcastic friend Harold. The guests include five gay friends, a hustler (Harold’s “present”), and Alan, Michael’s straight, married former college roommate, who arrives unexpectedly and in the throes of a personal crisis. 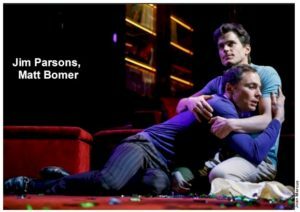 Though the play unleashes a fast stream of hilarious gay one-liners, it has moments of brutal honesty after Michael, drinking heavily, initiates a cruel truth or dare game where each guest must call the person he has loved the most. With the laughter faded and raw wounds opened, the birthday cake, strewn gift-paper, streamers, and confetti are the detritus of a disastrous event. The success of the play came just in time for the Vicksburg, Mississippi native, who as a youth immersed himself in community theater and countless hours daydreaming at the movies. He went as far as making movies with his uncle’s camera in the city’s military park that traces the siege that Ulysses S. Grant inflicted on the city. However, success at 32 was also tough. Crowley faced stress, depression, and alcoholism. Home for Christmas in 1955, Crowley discovered through a family friend in Greenville that Elia Kazan was shooting Baby Doll, based on the Tennessee Williams’ rowdy short story set in the Mississippi Delta. Kazan and his stars Carroll Baker, Karl Malden, and Eli Wallach were eating in the friend’s Greenville restaurant. No one ever tore rubber on a highway faster. Back in New York after university, Crowley phoned a Baby Doll crew member. He got a job as a PA on the 1959 remake of the prison break film The Last Mile, starring Mickey Rooney. That led to jobs on another Williams adaptation, The Fugitive Kind starring Marlon Brando, Anna Magnani, and Joanne Woodward; Butterfield 8 with Elizabeth Taylor and Eddie Fisher; and others. Then, one night in New York, Crowley literally ran into Kazan walking. 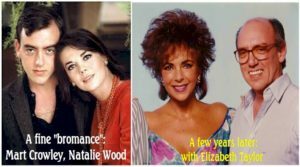 “The first thing he said was ‘What the hell took you so long’ I told him what I’d been doing, he told me to come see him, and I was hired as an assistant on Splendor in the Grass.” He impressed the director with his culinary expertise creating Greek salads and became Natalie Wood’s shoulder to cry on when it came to Warren Beatty. It was the beginning of a long, beautiful friendship. Crowley was devastated by her drowning. 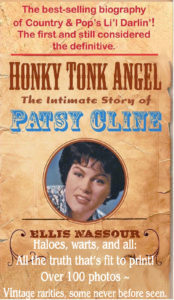 He is godfather to Wood’s two daughters – one by second husband producer Richard Gregson; the other, her second marriage to Wagner. Wood stipulated that in the event of her death Crowley would be second in line after Lana, her older sister, to raise the children. There was a screenplay for Wood, optioned by Twentieth-Century Fox, which never made it past studio chief Darryl Zanuck [Crowley was to make a triumphal return to Fox years later]; and 1968’s Fade-In, to star Burt Reynolds. However the studio brought in another writer [it was never released theatrically, but occasionally pops up on TV retitled Iron Cowboy]. With the first money he made from Boys, he paid to have his name removed from the negative. “No one tried harder,” he points out, “but nothing ever panned out. Plays were rejected. Film scripts that were optioned never got off the ground. TV pilots I wrote never got picked up. It was one flop after another. I went from being an optimist to a pessimist.” He was also hurting financially. He’d housesit for stars, and at one point needed to sublet his apartment. He met with a New York agent. Her reaction: “A play about homosexuals at a birthday party! I can’t send that out. Come back in five years.” The comedy/drama was worshopped in 1968 at the Playwrights’ Unit in a small Greenwich Village Theatre [now, the Soho Playhouse] under the aegis of producer Richard Barr, instrumental in the career of Edward Albee. Word spread and soon there were lines around the block of those hoping for a ticket to one of five performances. When funding came up short, Crowley and the actors passed a hat around to the waiters at Joe Allen’s, where Allen made a sizable investment. “They all came out pretty well,” laughs Crowley. 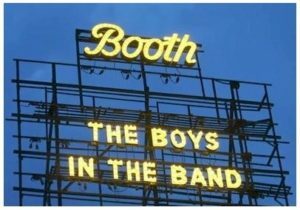 The Boys in the Band premiered in the mid-50s way west of the theatre district and was an instant if controversial hit. It became a celebrity magnet drawing the likes of Jackie Kennedy, Marlene Dietrich, Rudolf Nureyev, and Groucho Marx. New York Times critic Clive Barnes called it “one of the best-acted plays of the season” and “quite an achievement,” adding “I have a feeling that most of us will find it a gripping, if painful, experience – so uncompromising in its honesty that it becomes an affirmation of life.” Those were words Crowley never forgot and, in his darkest days, would repeat over and over. The play brought Crowley the prestige that had eluded him in Hollywood. The major studios wanted the rights “but didn’t want my involvement. I probably would have done the first draft of the screenplay and then lose control. 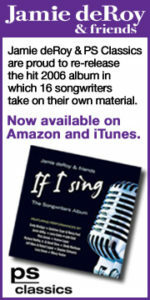 I wanted it done right, with the cast of the play and with me as producer. No way! So, I settled for less money but got what I wanted – including a brilliant director, future Oscar winner William Friedkin. Wood and Wagner remained loyal friends. Crowley returned to the West Coast and 20th Century-Fox to be executive story editor and later producer of Wagner’s hit series Hart to Hart. Due to the intense stress, he left after four seasons – returning to write two TV movie specials. Not long after, he collapsed following a massive heart attack. “That was my wake-up call to stop drinking and change my diet.” Wagner, who attended the Transport Group’s 2010 Obie-winning revival, with audience members seated throughout the playing area, came in for the Broadway premiere. Mart Crowley flung open a door 50 years ago and the closet hasn’t been shut since. There were other plays, including A Breeze from the Gulf, a brutal, thinly-disguised family life story in the mode of Eugene O’Neill and Albee. One critic wrote: “A deeply-religious alcoholic father, a dope fiend mother — well, what chance does an only son have for happiness?” It co-starred Ruth Ford, the beautiful model turned actress, who lived in the famed Dakota on Central Park West where she became muse to writers, actors, and musicians. It opened way Off Broadway, on New York Upper East Side. Reviews were strong to mixed, but it failed to find an audience. In retrospect, many feel it was ahead of its time and is ripe for revival. The play can be found in 3 Plays, a collection that includes Boys and his last play For Reasons that Remain Unclear, an autobiographical one-act about a writer who arranges a reunion to confront a priest who molested him. The playwright’s second work, Remote Asylum, produced in Los Angeles, was about three lost souls: an actress, her tennis pro lover [played by William Shatner, breaking away from Captain Kirk] and a gay writer friend, Michael – introduced in Boys, who escape to a Mexican villa to find themselves and end up dancing on each other’s graves. The reviews were poor. This failure, coming on the heels of Boys’ mega success put Crowley in such a tailspin he escaped to France for two years.